(Newser) – The world has been hearing lately from soldiers criticizing freed soldier Bowe Bergdahl. While they have a right to their opinions, much of the publicity they're currently getting is thanks to a "GOP-run dog-and-pony show" reminiscent of the Swift Boat campaign against John Kerry, writes Adam Weinstein at Gawker. For evidence, he points to the New York Times, which spoke to several of these soldiers. The piece notes that the interviews were "arranged by Republican strategists." Truth hurts, backlash was expected because Obama let those prisoners go so the Afgan treaty gets signed. Any US soldier would have surfficed. whats sick is how this has pushed the VA crimes off the media pages. The VA issue is not solved, and while we are at it, the 22 Vets commiting suicide a day should be front page news. Being former military I do have a few views about the 'trade' and 'reported' actions of Bergdahl. I will not address the trade. 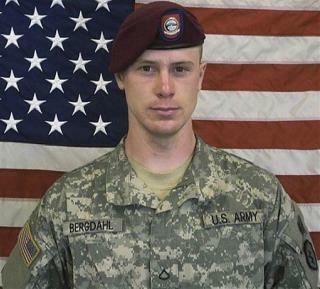 But if the 'reported' actions of Bergdahl are found tobe correct, he should and needs tobe tried in a military court.